Amraito.Com Computer Tips Tutorial How to solve chipset Bugs for Any Device? How to solve chipset Bugs for Any Device? Do you worry about bugs of your Chipset on any kind of Devices or Operating Systems. Here The Solution for solving chipset Bugs for any kind of Device or Products. Tech Giant Apple, Google, Microsoft are Published Bug Fixing Updates for there entire device, products. Any Hacker or Cyber criminals can take this vulnerabilities as there peace of Mind. So if you want to safe to that crisis, you should read that article carefully. Chipset is a collection of some integrated circuits. Which are designed to a function together as a unit. Usually its integrated with Motherboard. Works just like a traffic controller. There can be two kind of chipset. Hardware Bugs: If chipset Manufacturing company failed to make it properly. If they involved with black mailing hackers. Etc. Software Bugs: It’s the bug of Operating systems codes or files. Like Meltdown & Spectre Bugs. Although the problems is that, software can be fixed by latest updates. But Hardware updates is needed to replace chipset. How to solve chipset Bugs for Any Device/Products? Tech security researchers found a really dangerous bug in Broadcom chipset in most android smartphones. Under wifi network, It can be hacked by allowing remote attack. On the other hand, Googles another products like Google cloud, Chrome has detected Meltdown and Spectre Bugs. See googles updates for there operating systems here. Apple admitted the bugs of Meltdown and spectre processor on there Iphone X/10, Iphone 8, Ipad, Iwatch & Safari Browser. Apple said they will publish a update soon. Check updates on your App Store. 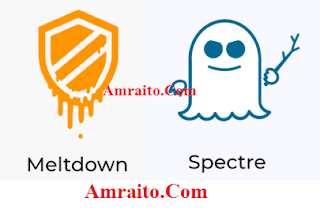 In Modern technological Processor but, Meltdown and spectre has detected all Intel MRM Micro chipset. Microsoft recently updates fix for Windows server, Edge, Cloud and Internet Explore. If auto update is off on your System, you should manually update this from here (Link Available). Mozila Firefox has been published a update for meltdown & spectre bugs. This updates will found here. Please comment and ask any query you want to solve. We are really proud to help you. Thanks for read this article of solving the issue of chipset Bugs for Any Device. Knock us on facebook. Please Up vote for reddit! how can i update my chrome browser? you should go google products link.